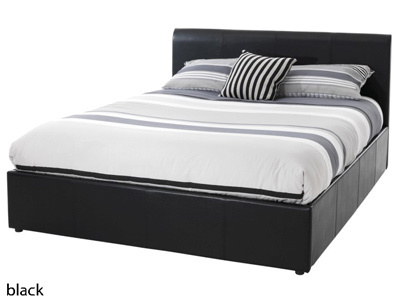 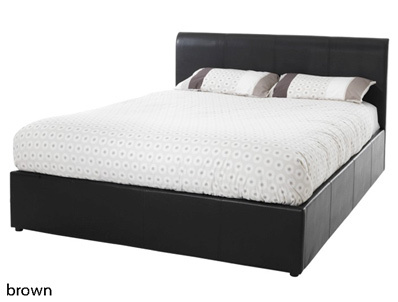 The tuscany from serene offers great value as a ottoman bed frame as it is made in a good quality faux leather in white , black and brown and in 5 sizes including small double and now is available in Single . 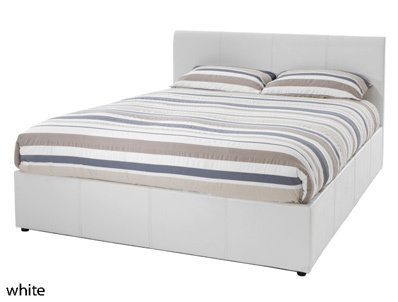 The Tuscany ottoman is delivered flat packed for home self assembly, but the sprung slatted top base come in one piece just folded. 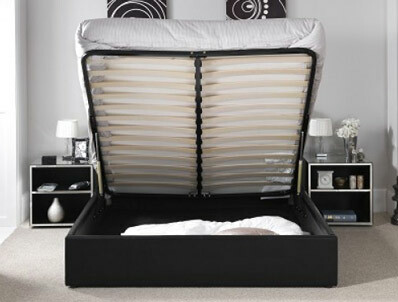 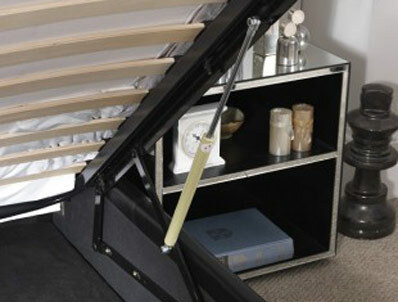 The Tuscany has a drop in base floor and will lift a mattress up to 45kg. 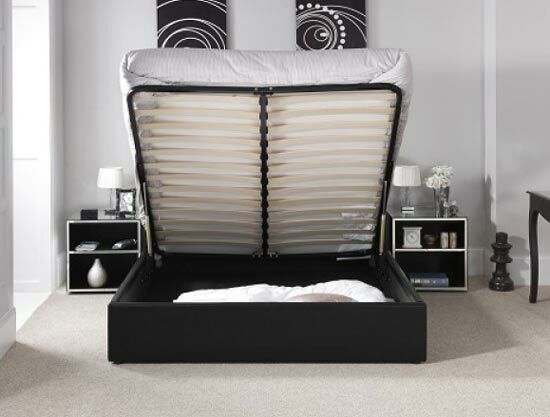 Delivery is free of charge to most areas and takes 7-9 working days if the frame is in stock at time of ordering , however Serene will not deliver to all area , so please note some postcodes like Ab, Dd, Kw, Iv, PA, PH and FK18 + Serene will not deliver to , so they will need to deliver to us and we will arrange onwards carriage to you on a similar service at a cost of £25 per item.